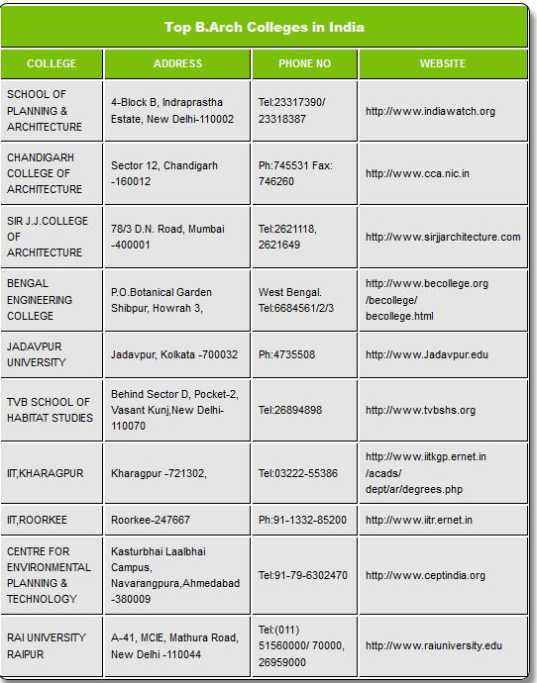 Which is the duration for Bachelor of Architecture course will you please provide here & also give eligibility? B.Arch. or Bachelor of Architecture is an undergraduate Architecture course. The applicant should have Candidate must possess 50% marks in aggregate at 10+2 level or equivalent with Mathematics as one of the subjects at 10+2 level. B.Arch course duration is 5 Years. The Candidate must possess 50% marks in aggregate at 10+2 level or equivalent with Mathematics as one of the subjects at 10+2 level. Candidates seeking admission to B.Arch. Program should have a valid NATA score obtained in National Aptitude Test in Architecture (NATA) conducted by the Council of Architecture.